Tortuga Outbreaker Review: The Best Carry-On Backpack? Tortuga Outbreaker Backpack: Check the latest price on Tortuga’s website. The Tortuga Outbreaker was released back in 2016 but till date is still considered one of the best carry-on backpacks in 2019. In this article, I will be reviewing Tortuga Outbreaker an overall well-balanced backpack best suited for backpacks, world travelers and other travelers in general. Note: If you’re looking for a smaller and lighter backpack the I recommend reading my other review on the Tortuga Setout Divide which is more suitable for that. What makes the Tortuga Outbreaker different? The Outbreaker is Tortuga’s most popular bag and because it is perfectly designed for travelers especially those that travel for longer periods and basically live out of their backpack. It is spacious, durable and comfortable with a great attention to detail on the internal organization making it great for efficient packing and most travelers in general. Many World travelers shy away from using a carry-on backpack because it almost always falls short when packing for a long backpacking trip. However, the Outbreaker at 45L is the biggest possible carry-on. The internal compartments are quite spacious and should easily fit a ton from electronics to clothes. Moreover, the Tortuga Outbreaker adheres to airlines maximum carry-on size which means you can take it along with you on a flight without having to check it in! The Tortuga Outbreaker for starters follows a unique front-loading suitcase unlike the conventional open from the top. 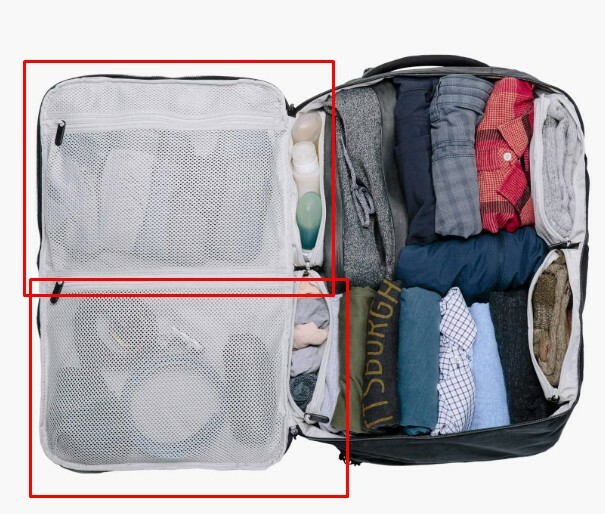 This makes it easy to access your stuff like a suitcase! 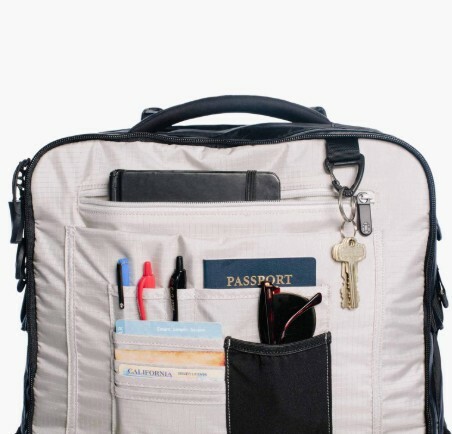 The internal organization is optimized for packing efficiently with multiple pockets right from laptop and tablet sleeves to mesh pockets for other utilities. Another major reason travelers don’t use carry-ons is that of the assumption that it’ll be insanely heavy to carry around on the back. While this may be true for some cheap backpacks the Tortuga Outbreaker is designed with components like padded hip belts, beefy shoulder straps and back panel cushioning that work together to carry heavy payloads despite being at a capacity of 45L! Pro Tip: I recommend getting an EDC backpack that is compact enough to fit inside the Outbreaker and perfect for everyday use. The Tortuga being extremely durable and big to carry more than the normal carry-on is actually quite bulky and heavier in comparison to the general travel backpack. At 5.1 lbs the bag itself is going to be a good chunk of your carry-on weight allowance especially with Asian airlines where the allowance is only 7-8 kg. The Outbreaker will set you back a whopping $299 but your luggage is definitely worth much more which makes it worth the investment. If you live in Canada, Australia, New Zealand or Asia be prepared to pay USD $30-55 and customs depending on where you are. It’s a one time purchase so this doesn’t really matter. Who is the Tortuga Outbreaker best suited for? In general, the Tortuga Outbreaker is great for anyone traveling for longer periods and carries more than the normal traveler, for instance, lots of tech or clothes. 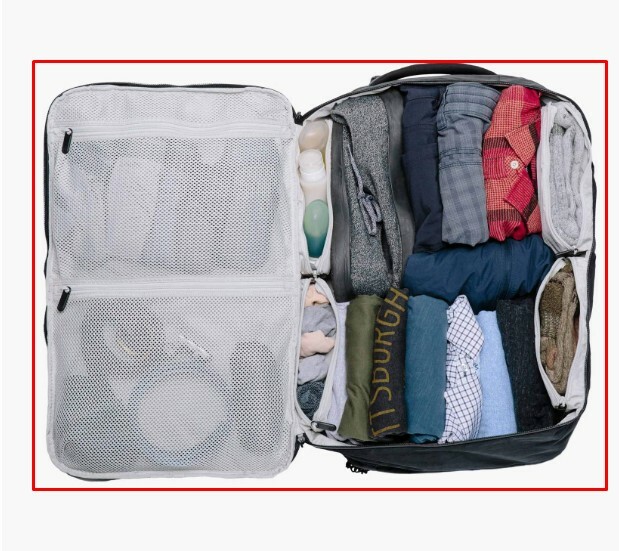 It is also for like well-organized packing as with this one there’s a compartment and pocket for literally anything hence keeping the internal organization neat and tidy. Lastly, if you’re looking to travel with the least hassle i.e on your back the Outbreak is designed to maximize comfort making it super easy to carry even when it’s packed to the brim at 45L! Who is the Tortuga Outbreaker NOT suited for? Moreover, if you’re a smaller/shorter homo-sapien this backpack will be a little bit big for you. In these cases, I recommend going for a smaller backpack like the Tortuga Setout. So is the Tortuga Outbreaker worth it? The Outbreak is one of the best carry-on backpacks that’s built specially for the traveler so you want a backpack that will last you a long time and keep your valuables protected regardless of the weather then the Tortuga Outbreak is definitely worth the money. Tortuga co-founders Fred Perro and Jeremy Cohen were digital nomads themselves and realized there wasn’t a good backpack for the gear they were traveling with so they built Tortuga a backpack company that makes gear for those that travel and pack a lot in their backs (think tech). Bottom line the founders of Tortuga experienced a problem firsthand and decided to fix it which how great companies usually start. In short, Tortuga is a genuine and authentic backpack company built on the idea of location independence and people that want to live on their own terms aka the digital nomad community that travels with a bunch of gear and works on the go. TSA friendly electronics compartment that unzips fully and lies flat. Tortuga Outbreaker vs Tortuga Setout: Is There A Clear Winner? In my opinion, both the backpacks are good and bad in their own way but I am leaning more towards the Tortuga Outbreaker. Firstly it’s made of more robust and durable materials so your contents will be much more secure than in the Setout and of course, the backpack will last longer! Second, it’s TSA friendly so airport runs will be MUCH shorter as security will have easier access to all your contents without having to really open anything. Finally, the organization in the Outbreaker is much better than in the Setout as there’s more pockets and compartments so everything will remain in place as opposed to the setout. The only thing the Setout has on the Outbreaker is the side handles but then again it’s not really practical for a 45L backpack to be used as a messenger backpack. 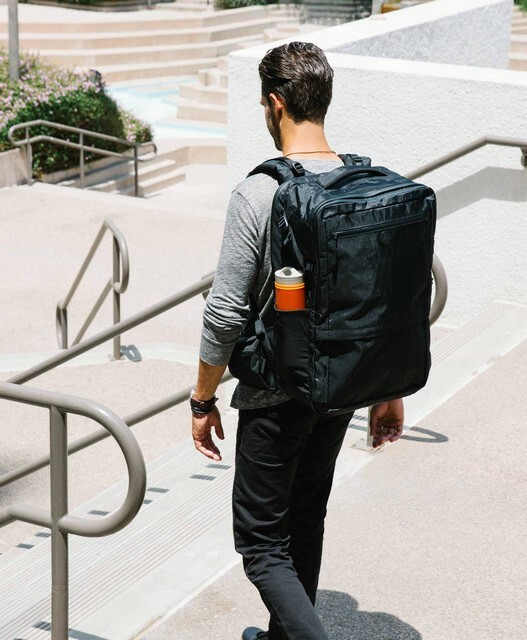 Tortuga Outbreak is an exceptional backpack for travelers who carry more than the general traveler (think tech, equipment etc) and want something secure and functional that compliments their digital nomad lifestyle. The Tortuga won’t win any style points but it an extremely strong and durable material that won’t rip out when carrying around a ton of gear like most cheap backpacks. The Tortuga Outbreaker is a combination of four layers of Vx21 an extremely strong material, in fact, it’s the same stuff that’s used to make boat sails! The material is a combination of waterproof nylon, ripstop polyester, and polyethylene. 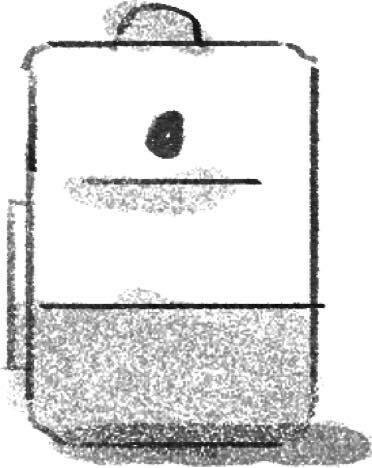 Also, The back panel is made of Ariaprene which does not absorb back sweat or odor. Tortuga having a whopping capacity of 45L can definitely fit a whole lot of stuff but what’s more important is the attention to detail Tortuga has paid to the internal organization to make sure there’s a specific place for all of your gear and nothing is floating around. The Tortuga Outbreaker has a MASSIVE main compartment with a capacity to carry a ton of clothes if you’re a world traveler this is great as it means less laundry! However, it’s not just huge it’s functional as well as Tortuga uses a unique clamshell opening that basically means you can open your backpack like a suitcase! This is much more convenient than opening from the top especially in a 45L backpack as more stuff than a daypack making it difficult to access and actually find what you’re looking for. Inside the main compartment, you have six smaller compartments with the first four smaller compartments enclosed on one side of the main compartment this is for toiletries and other essentials. 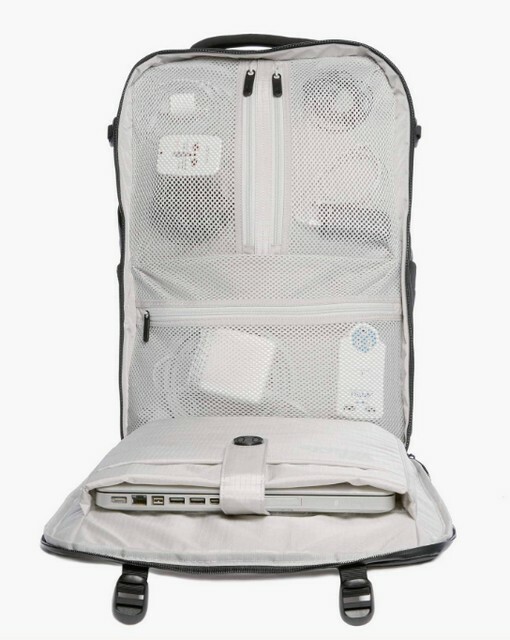 The secondary compartment is great for storing (and segregating) all your tech. Moreover, the mesh pockets make it easy to find which pocket has what which is something I appreciate the most. The other side is for a laptop (up to 17″ for 45L and 15″ for the 35L) however you can also store important paperwork and documents as these are well-protected sleeves. There’s also a tablet sleeve just in case you travel with a backpack. This is Outbreakers smallest compartment and doesn’t have a lot of space but is perhaps the most important compartment as it’s designed to hold flat ID’s and documents like Passports, identity cards, pens etc. The external components have a direct effect on the experience you’ll have with the backpack as they include components that worth together to make it easier to carry the backpack on your shoulder. While this system isn’t as intricate as the ones in the Ospreys it really doesn’t have to be as it’s not meant for hiking through the Himalayas (just through the airports, train stations etc) which the suspension is already optimized the best for! 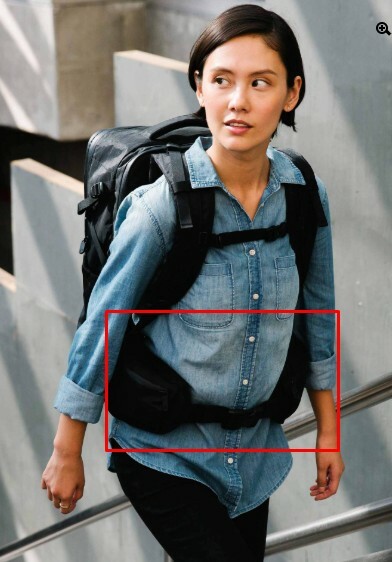 Outbreakers Hipbelt is another external component that makes it significantly easier to carry around. It’s super adjustable with two pockets one on each side and is definitely something you will be using a lot whilst lugging around a 45L beast on your back. The truth is rolling suitcases aren’t suitable for city travels and hiking backpacks don’t have a messy organization. 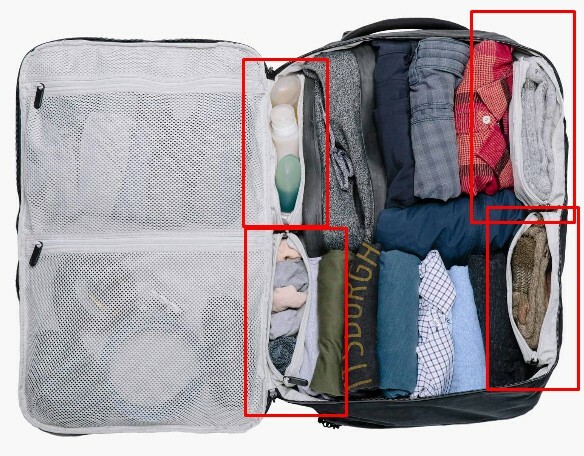 The Tortuga, on the other hand, is a combination of good ergonomics and portability with the obsessive organization making it easier for a world traveler to traveler hassle-free packing a whole bunch of stuff. If that sounds like you then the Tortuga Outbreaker is going to be just right for your travel lifestyle! Sure it’s a little bit on the expensive end but nothing that is good is really cheap and moreover, I’m sure the contents in your backpack are much more valuable. Thank you for reading through the end if you have any queries do leave a comment below.